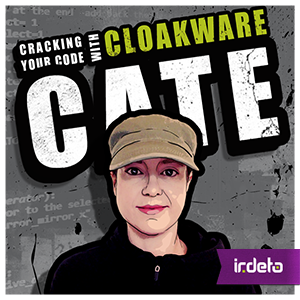 In the latest Cloakware Cate video Catherine shows us how commonly available tools like debuggers can be used, with live data, by a hacker to effectively subvert an application. This simple demonstration captures the essentials and talks about how you might mitigate against these kinds of attacks. Subscribe to stay up to date with Irdeto’s Cloakable blog. Check out all of Cloakware Cate’s Videos! This entry was posted in How-to, Practical Guides, Software Protection Technology and tagged cloakware cate, dynamic analysis, Hacker, reverse engineering, software protection. Bookmark the permalink.